Raking the leaves of the family tree sometimes turns up information that has us excited for at least a moment. Is it possible we share the ancestry of a famous and well-regarded figure from history? Or, perhaps we share a talent or characteristic of a more well-known distant cousin? Sometimes, we get dazzled by the possibilities, and abandon sound research practices, in order to chase "our" star relative. Luckily, I had studied my ancestry long enough, to know that when I read my distant grandmother's obituary, the last paragraph was based on wishful thinking, not fact. Rose (Rosa) A. Simpson was born in Kentucky in 1810, and lived well into the 20th century, her death occurring in December of 1908 in Lewis County, Missouri. On her 19th birthday, in 1830, she married Richard Riney in Sangamon County, Illinois. They eventually settled in Missouri, and were instrumental in the founding of the Shrine of St. Patrick in Lewis County, Missouri. More information at: St. Patrick Shrine . The last paragraph of her obituary would create excitement, to those not familiar with her story. After all, Boones in Kentucky must all be related, right? Well, no. Besides the vast amount of available, verifiable information about Rosa's family, a quick look into Daniel Boone's own history reveals problems with the newspaper story. His birth actually occurred in Berks County, Pennsylvania, in 1734. His father, Squire Boone, had emigrated as a teenager to Pennsylvania from England. Around 1750, the family moved to the Yadkin River valley of North Carolina. Daniel Boone's earliest trip to Kentucky took place when he was in his mid 30s. This family had followed the Quaker faith in both England and America. Rose A. Simpson did indeed have a Boone surname in her heritage. 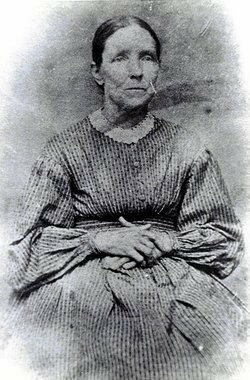 Her mother, Mary Alice Boone, was the daughter of John Boone, whose will was written in Washington County, Kentucky, in 1809. This family had long been connected to the Catholic Church. An earlier John Boone had donated land on which a Catholic Chapel was erected around 1710 in St. George's County, Maryland. This family was part of what legend calls "The Maryland League," groups of Catholic families who, beginning in the 1780s, banded together to emigrate from Maryland to Kentucky. Rose's grandfather, John Boone, was part of the Hardin's Creek settlement, which was later known as Saint Charles, Saint Mary's, and finally, St. Mary. This part of Washington County was divided off into Mercer County in 1834. Interestingly, the newspaper obituary for Rose Simpson Riney published closer to her residence in Missouri, doesn't make mention of a connection to Daniel Boone. Perhaps, as often happens, a descendant in Quincy really wanted for the story to be true. While the Maryland Boones may owe thanks to Daniel Boone for making it possible to settle later in Kentucky, they otherwise may have only shared a connection in the distant past. They certainly couldn't claim him as their "Uncle Dan." Note, the excellent online newspaper records of the Quincy, Illinois Public Library have been an invaluable source in my research. They are available here: Quincy, Illinois newspaper research .